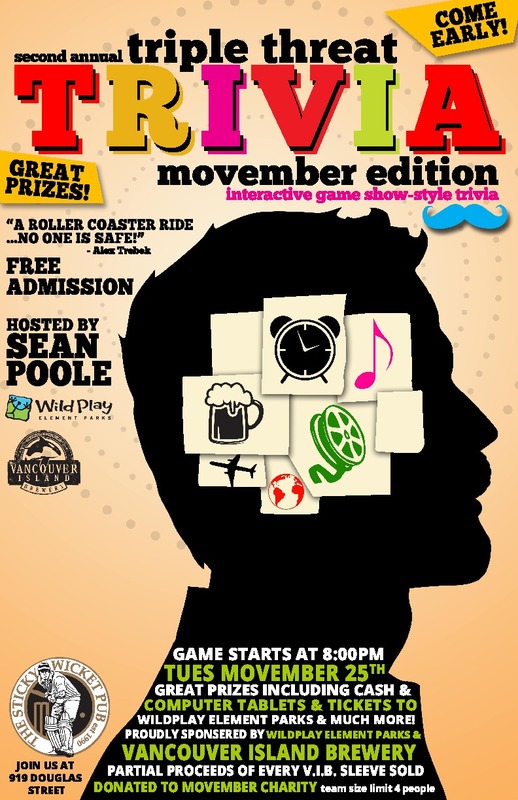 Join us for a night of fun and laughter and a rollercoaster of chance in the 2nd Annual MOVEMBER Editon of Triple Threat Trivia! An interactive Game-Show Style Trivia Game. 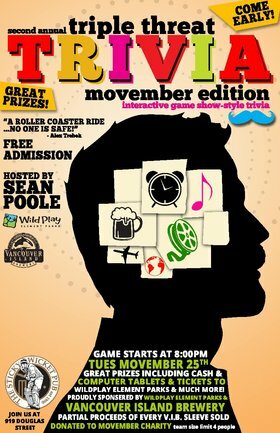 We will be raising money for The Movember Foundation. Vancouver Island Brewery will be here serving up frosty brews for those lucky enough to attend this fun-filled event. 50% of all beers sold will be going directly to charity! Great prizes including $333 in Cash, Samsung Galaxy computer tablets and many, many more! 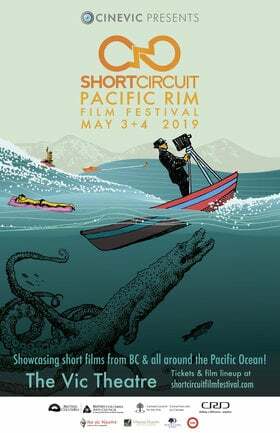 So come on down, have some fun and sharpen up your brain pencils!